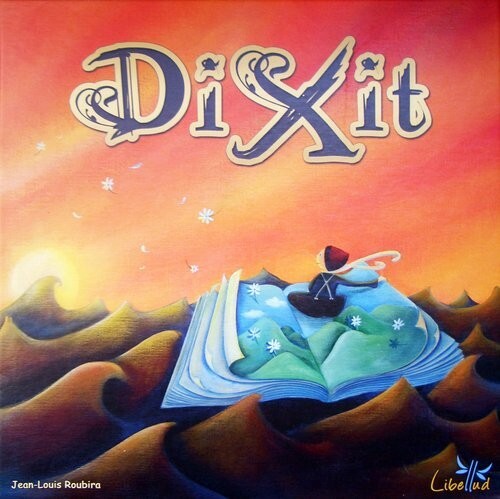 In Dixit, the players have hands of oversized cards with various artistic pictures. The active player secretly selects one of his cards and gives a very brief description. 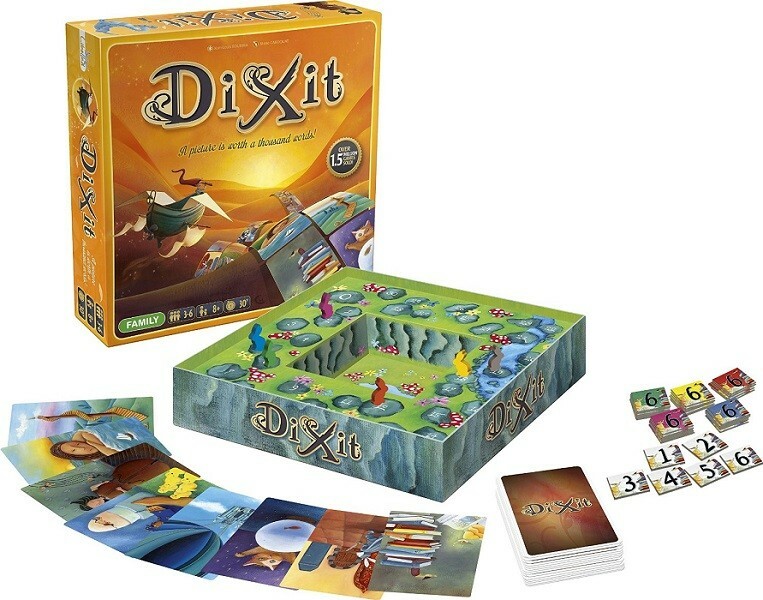 The other players secretly select their own cards which match the description. Those are shuffled and revealed, and players vote on which was chosen by the active player. Each correct answer gives points to the guesser and the active player, but each incorrect answer gives points to the player who submitted the guessed card. However, if all of the guesses are correct -- or none of them are -- then the active player gets no points and all the other players get points. This strategic game for 3 to 6 players has tons of replay value. Players must be canny -- make their description too easy, or too difficult, and they'll actually end up behind. With a 30 minute play time, it's perfect for parties or for use in the classroom.